CEDAR RAPIDS, IA — December 2014 — Orchestra Iowa presents “Madness & Musings” on January 9 – 11 as part of the 2014-2015 Showcase Chamber Series. One of the purest forms of classical music, chamber music is traditionally written for a small group of instruments, played in an intimate setting, and performed without a conductor. The most talented musicians from Orchestra Iowa come together in this setting to demonstrate their musical prowess and virtuosity. This year, the exemplary Orchestra Iowa Chamber Players showcase a variety of styles and composers over a three concert series. Madness & Musings, the second performance in this series, will occur in January. On Friday, January 9 and Saturday, January 10 at 7:30 PM the Opus Concert Café will be the venue for this intimate musical gathering. Enjoy classic chamber music in a modern venue with a chic, sophisticated atmosphere. The Coralville Center for the Performing Arts will create a timelessly appealing environment for another performance on Sunday, January 11 at 2:30 PM. This concert will enliven the cold Iowa winter with selections by Corelli, Dohnanyi and Schumann. String, piano and harpsichord sonorities will be featured on this performance, showcasing music spanning the Baroque period to the 20th Century. The earliest piece, a composition by Corelli, will feature the debut of Orchestra Iowa’s new Italian style harpsichord crafted by Iowa’s own Ed Kottick. Driven by desire and madness, this program explores the depth of human passion. Robert Schumann spent much of his adult life suffering from a mental disorder. He was later admitted to a mental asylum at his own request just years after the completion of his Piano Quartet in E-Flat Major, featured on this program. The piece is fitting to his condition and the premise of this program as the piece epitomizes the range of emotion in madness. Schumann’s compositional control and ability to quickly transition between emotions and tempos make this a fitting close to the program. Musicians for this performance include Beth Larson on violin, Jenwei Yu on viola, Carey Bostian on cello and Miko Kominami on piano and harpsichord. Tickets may be purchased and more information about this performance can be found online at orchestraiowa.org or by calling 319.366.8203. Tickets are also available through the Orchestra Iowa Ticket Office, 119 Third Avenue SE, Cedar Rapids. The ticket office is open Monday through Friday, 10:00 AM to 5:00 PM, and Saturday 10:00 AM to 1:00 PM. 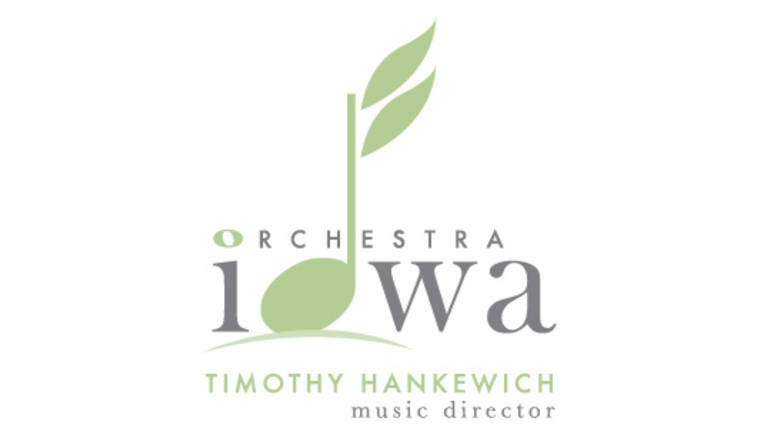 During the holiday season, the Orchestra Iowa Ticket Office will have reduced hours and are as follows: Wednesday December 24, 10:00 AM – 2:00 PM; Thursday December 25, closed; Friday December 26, 10:00 AM – 2:00 PM; Saturday December 27, regular hours (10:00 AM – 1:00 PM); Monday December 29 through Wednesday December 31, 10:00 AM – 2:00 PM; Thursday January 1, closed; regular hours resume Friday, January 2.